2. Durablity: 30-50 year life for functions, 15-30 years for color. 3. Stength: UPVC profiles with steel reinforcement installed in chambers, more strenth than real wood. 5. 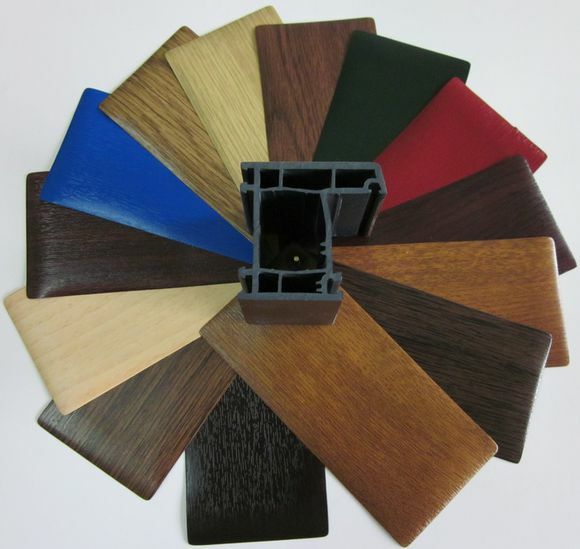 Color avilable: 6 Basic wood grain color, included Golden Oak, Rustic Oak, Sapeli,Nussbaum etc. 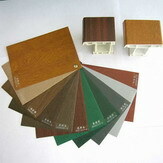 High quality film laminated ,with real wood grain effect and no color fade, films import from Renolit, Haogenplast, LG etc. 6. The UPVC profiles with similar color to film lainated avilable also, all profiles produce against Europe quality stand of EN12608.